Showing results for tags 'arcanist'. Talthar posted a topic in Battle Reports! 35 ss battle between Arcanist Mei Feng and Guild Hoffman. Attacker: Arcanist Mei Feng, Kang, Forgeling, Metal Golem, Metal Gamin w/Magical Training, Arcane Effigy w/Effigy of Fate, 3ss Defender: Guild Charles Hoffman, Mechanical Attendant, Peacekeeper, Guardian, Hunter, Watcher, 4ss Deployment: Corner Strategy: Reckoning Schemes:Detonate Charges, Breakthrough (A), Assassinate, Deliver a Message (A & G), Vendetta (G, Hunter vs Metal Golem) Final Score: Guild 4 (1 on Strategy, 1 on Deliver a Message, 2 on Vendetta) Arcanists 3 (1 on Strategy, 1 on Deliver a Message, 1 on Breakthrough) Thoughts: Scrap. Scrap markers everywhere. 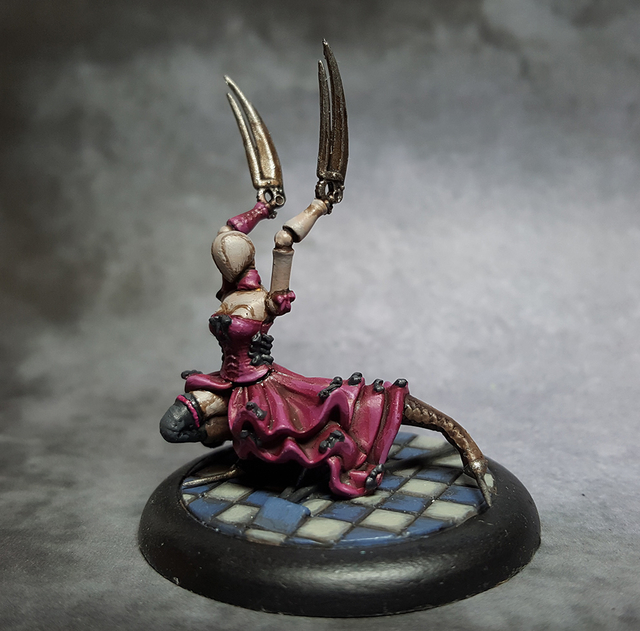 The Giuild lost one model, the Watcher, while the Arcanists were left with Mei Feng and the Acane Emissary. This was the first time playing Hoffman, and there is seroous synergy in his crew. Careful positioning and the entire crew gets a power token every turn. The Arcanist crew did the best it could, but it felt splintered, with no models supporting each other. I would like to try Mei Feng again, maybe in a 10 Thunders crew. 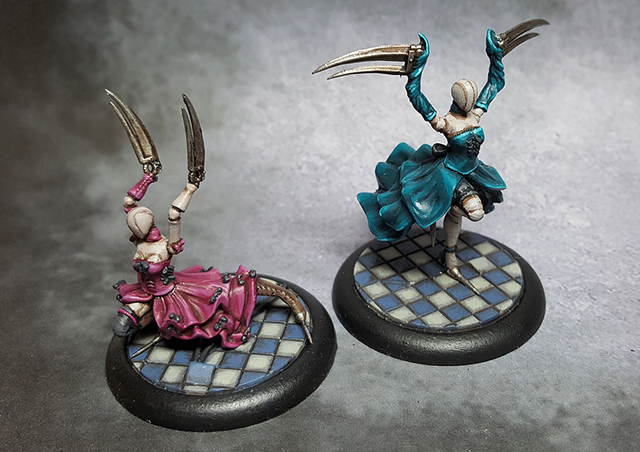 SAYNE posted a topic in Battle Reports! What Version of the Playtest Documents were you using? 2.6.19 Strategy Reckoning - 35 SS Scheme List -Breakthrough -Dig Their Graves -Hold up their Forces -Deliver a Message -Assassinate Time & Rounds Played 3 hours, 3 rounds Final Score @SAYNE: 5VP @targetedotaku: 2VP Forum Name SAYNE Leader Somer Teeth Jones Crew List Somer Skeeter x2 Lenny Georgy & Olaf Spit Hog Old Cranky Bayou Gremlin 5 Cache Strategy VP Scored 2 Scheme 1 & VP Scored Hold up their Forces - 1 Scheme 2 & VP Scored Assassinate - 2 If you could play this same Encounter again, what would you do differently? I'd probably have been more careful about where I stuck Somer Teeth. Also might not have pumped so much damage into the Firestarter if I knew how much he could be healed. Definitely first game against Kaeris in M3E. MVP model (and Why?) Lenny. Scored multiple big hits, managed to survive way longer than he should have (with luck). His cover aura never came up but Toss is so good. Frantic was absolutely bonkers. Forum Name TargetedOtaku Leader Kaeris Crew List Kaeris Eternal Flame Elijah Borgman Firestarter Firebranded x2 Fire Gamin 3 Cache Strategy VP Scored 2 Scheme 1 & VP Scored Dig Their Graves - 0 Scheme 2 & VP Scored Deliver a Message - 0 If you could play this same Encounter again, what would you do differently? Initial positioning of models, utilizing models differently, and now I know the game. MVP model (and Why?) Firebranded. Solid damage, great healing. Healed the Firestarter from a single wound to full in two turns. Concerns and/or Confusions? First time playing for TargetedOtaku. So "the everything". Unsure whether Third Degree Burns adds an additional burning, or just the injured. We played it as an additional burning (so each Marker gave +2 Burning, +1 injured for every action taken on a marker). Unsure how to score the objectives in this case, considering how new TargetedOtaku is. The middle of the board became so littered with Pyre Markers and Corpses that it was quite chaotic to move around in. Additional Feedback? Kaeris crew seems a bit odd. As you're quite sure how much burning you should place on your enemy, and then on yourself. In general lighting everything on fire works, but takes a bit (lot) of setup. For such a "long game" crew, they don't seem to have the defenses or expendability to make it all the way through. 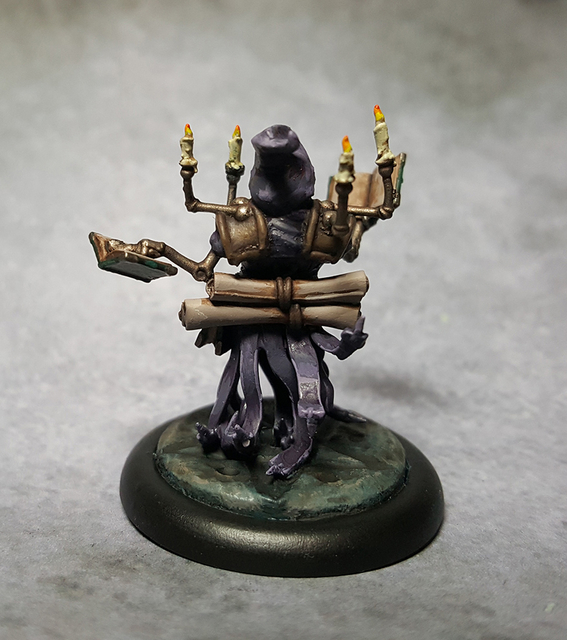 That said, the Pyre markers are scary, especially with Immolate and injured is just a death sentence which is good. Also not entirely sure about the firestarters Assist damage aura, and whether the Assisting model would take the damage even if not in LoS (Bayou Gremlin hiding behind a SpitHog and tried to put it out). New Somer Teeth feels strong and thematic, but I'm a bit worried about the upper models in the crew. Everything summonable feels right, but I feel like I'm missing one extra model that goes somewhere in between G&O and Lenny. In a 35 SS game I brought almost the entire keyword, and that feels a bit... slim? I understand versatility but I do want the Big Hats to stand on their own as well. Colette Shanking Models and Looking Good While Doing It. A similar topic that did not cover it is here: Cannot be moved and pushed 1) i read that as 'can be placed' so sandeep's 'place within 6"' spell allows the gamin to move on cast. 2) Magentisim "push this model 6" towards target construct, then target suffers 2 damage which ignores armour" Does this mean the damage cannot happen unless you are pushed the full 6"? Advice for a new Collette player? 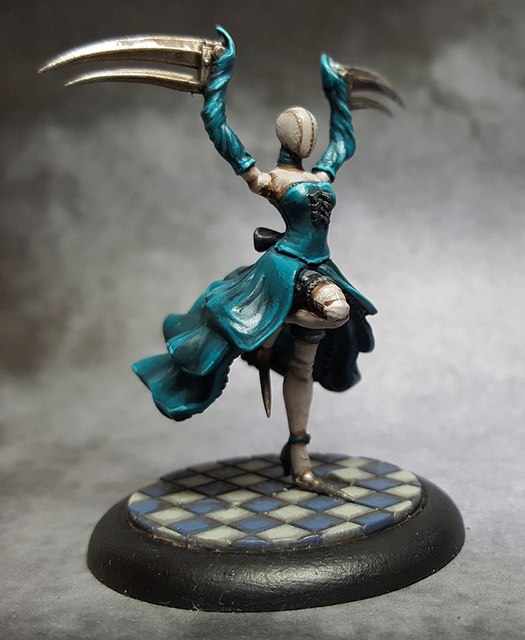 My fiancee just finished painting her Collette crew (looks amazing btw) and she's excited to get her first game of malifaux in. She's worried about being destroyed in her first match. Mainly because it's with me and we tend to get really competitive when we play games together. Any advice for what she can play to do well? Ill be playing gremlins (I'm soloing Ophelia) so if you have any advice against them that would be good also. What competitive list would you bring? A while back, I ran a campaign for a group of players that were part of the Arcanists with a focus on treasure hunting and finding Grimoires and Artifacts. For their campaign, I made a Grimoire-centric Advanced Pursuit focusing on the resources of the Arcanists and the M&SU. The Pursuit sadly wasn't able to be play tested too much, so criticism is welcome. Curator: The title of Curator is given to the Arcanists who oversee the Grimoire Vault. These historians and researchers have devoted their career to the discovery, recovery, and mastery of Grimoires and Artifacts. Requirements: In order to become a Curator, they must first be a member of the M&SU and show a profiency with magic. This included paying monthly dues and having a magical theory other than the Tharlarian Doctrine or The Whisper. Once they have proven themselves as a trusted operative of the Arcanists, the potential Curator must make a substantial donation to the historical research of the M&SU. This usually involves donating a Grimoire or Grimoires totalling 6 or more Magia. The Curator gains a step in the Advanced Pursuit each time the donate a rare Grimoire, Artifact, or Soulstone to the Vault. Talents: Vault Historian - The Curator is given special access to the Grimoire Vault of the Arcanists. The Curator is immediately given a Grimoire containing two Magia and two Immuto of their choice. With the help of a fellow Arcanist, they may swap out the Grimoire for one with the same amount of Magia and Immunto. A Curator may also request to borrow a Grimoire of stronger power with a Bureaucracy check (TN 12 +2 for every addition Magia or Immunto beyond 2.) If they receive a Margin of Success, the requested Grimoire has an additional special effect determined by the Fatemaster. If they lose a Grimoire gained from this Talent, they may only use it again after donating an equal Grimoire. Antiquarian - The Curator gains the following Tactical Action: (1) Quick Attune: The Curator discards a card and can attune to any Grimoire in their possession for the rest of combat or for 10 minutes of narrative time. They may use History instead of the Attributes for a number of time based on the number of the discarded card. (Once for 1-5, twice for 6-10, and four times for 11-13.) The Curator can still only be attuned to one Grimoire at a time. If they have the Traditional Method Magical Theory, this action costs (0) but still lasts for the same duration. Artifact Studies - The Curator gets to any flips to identify, locate, or discover knowledge about a Grimoire or Artifact. In addition they gain an artifact of their choice, or via random Flip. - Bizarre Talisman: While carrying this medallion, you may use History in place of Evade when determining your Defense. - Wretched Totem: While carrying this effigy, you may use History in place of Toughness when determining your Wounds. - Abandoned Scripture: While carrying this testament, you may use History in place of your Centering when Determining your Willpower. - Eerie Facade: While carrying this cameo, you may use History in place of your Notice when determining your Initiative. 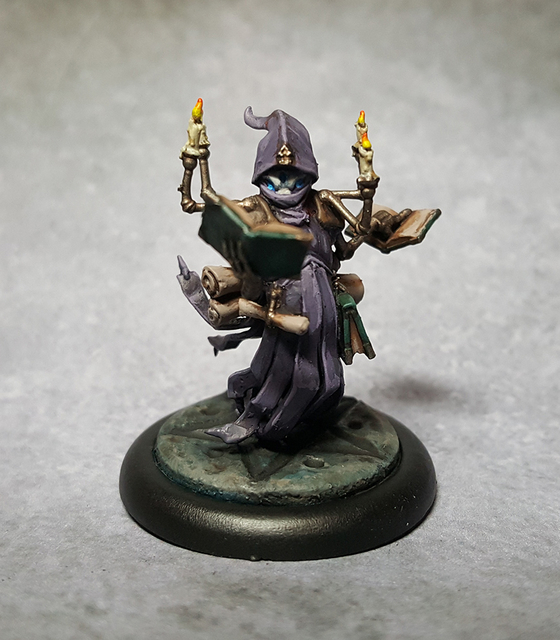 Occult Affinity - When the Curator uses the Quick Attune Tactical Action, they add the suit of the discarded card to the spells they cast from the attuned Grimoire. Dual Attunement - The Curator may attune to two Grimoires at a time. Any bonuses and penalties from one Grimoire affect the other. (Ex, a locked Immunto is locked for spells cast from either Grimoire. If such requirements prevent spells from being cast, such as multiple locked Elemental Immunto, it means that the Grimoires are in conflict with one another. Grimoires aren't exactly keen on sharing a caster.) Each Grimoire must be attuned separately, but can either be attuned properly or by using the Quick Attune Tactical Action.